1. 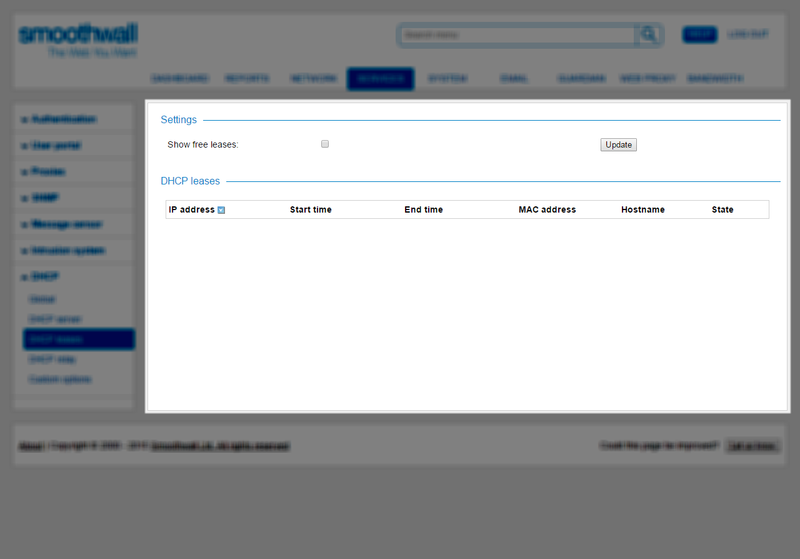 Go to the Services > DHCP > DHCP leases page. 2. Select Show free leases and click Update.  IP address — The IP address assigned to the network host which submitted a DHCP request.  Start time — The start time of the DHCP lease granted to the network host that submitted a DHCP request.  End time — The end time of the DHCP lease granted to the network host that submitted a DHCP request.  MAC address — The MAC address of the network host that submitted a DHCP request.  Hostname — The hostname assigned to the network host that submitted a DHCP request. • Free is where the IP address is reserved for the same MAC address, or re-used if not enough slots are available.